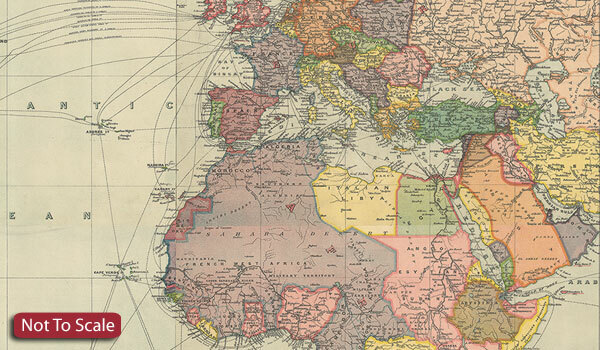 The Stanford’s New Library Chart of the World is from a fascinating series of reproductions from our Edward Stanford Cartographic Collection archive. This map was published by Stanfords in January 1920 and says ‘drawn to an equatorial scale of 350 nautical miles to 1 inch. Published just after World War I the boundaries are as per the Treaty of Versailles. The British Empire, at its height, is shown in dark pink. 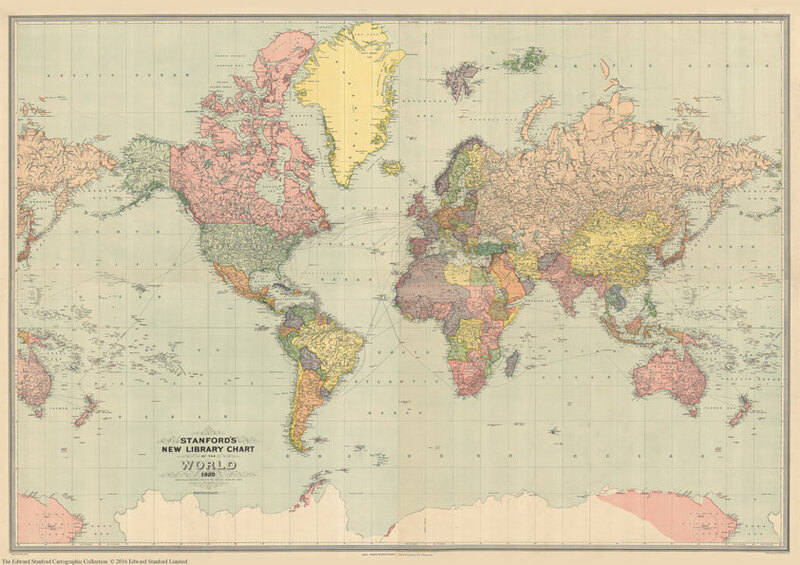 This is a very interesting map for anyone with an interest in history as it shows the world as it was in the 1920s from a British cartographer’s viewpoint. This is for the A4 canvas version.